Watson Farmer Walk Handles @ UP fitness Build huge overall power and grip strength with the Watson Raised Farmers Walk Handles. 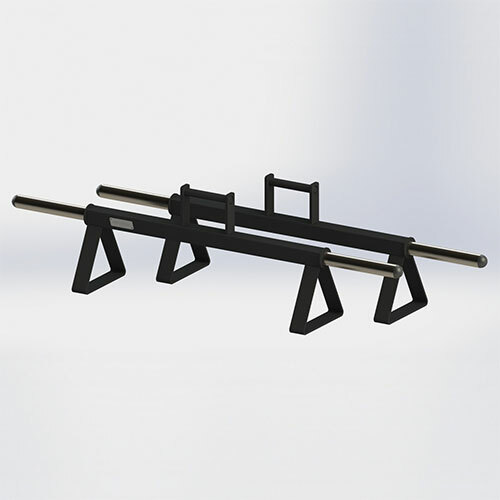 These Farmers handles offer the same rugged construction as our other versions but are raised to allow for easy plate loading and to protect the plate from scuffing on the floor. 30 mm handles as standard, please let us now if you would like a different size. Farmers Walks offer a great way to train the whole body – get your Watson Raised Farmers Walk Handles now and start seeing the benefits of this amazing exercise.